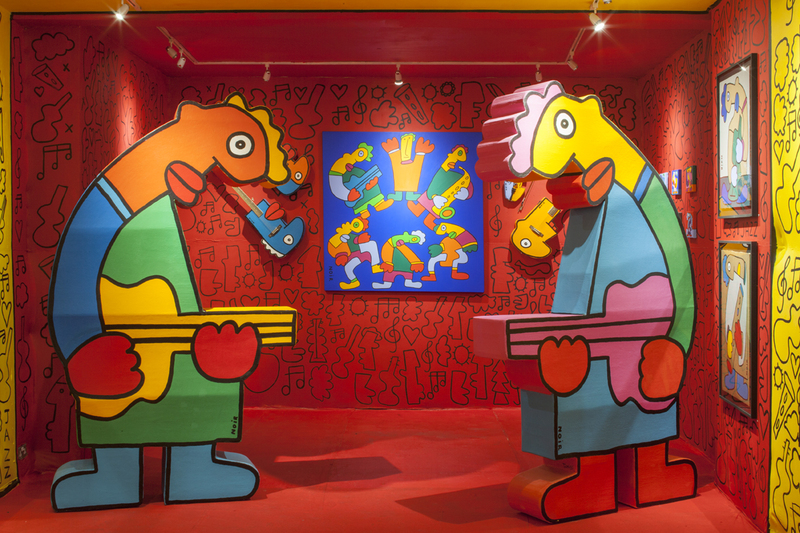 Jazz is a unique synthesis between the worlds of art and music as seen through the eyes of infamous Berlin Wall artist Thierry Noir. 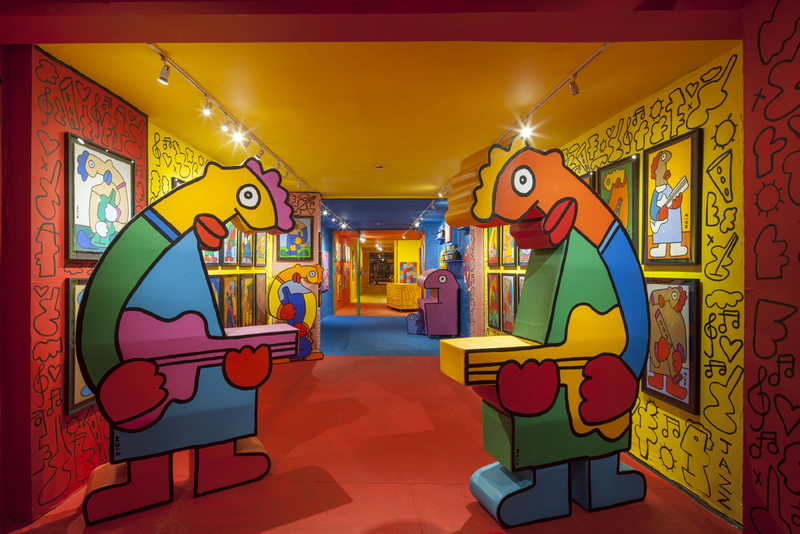 In the 1980s, Thierry Noir moved to Berlin to follow a burgeoning underground music scene. Berlin was the capital of alternative music at that time, from Nu Wave to Hip Hop, Punk Rock to Jazz. 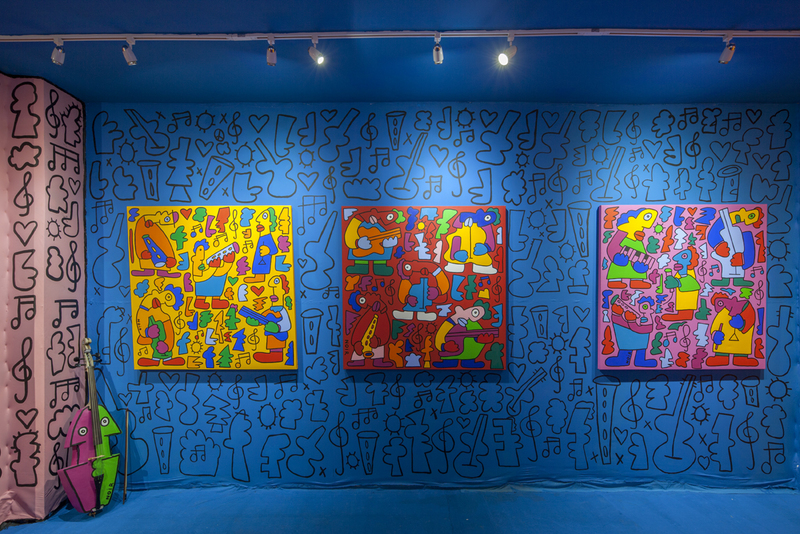 Fuelled by the creative energy that electrified the city in the midst of intense political and social upheavals, Noir began to spontaneously paint his characters. As Noir says, “If I had not been an artist, I would have been a musician”. 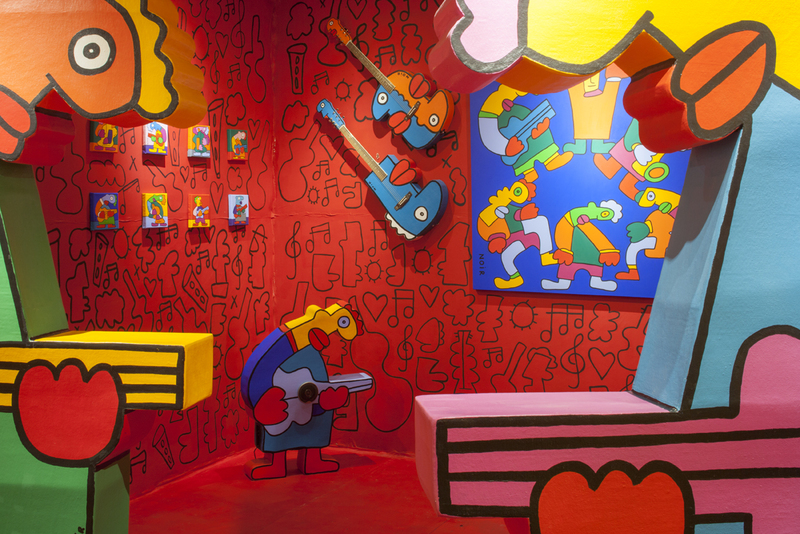 With Jazz, Noir returns to the musical influences that brought him to Berlin, capturing the spirit of the times through art that has come to visually define an era. Many parallels can be drawn between Noir’s iconic visual language and the music that inspired it. Clashing colours appear like discordant notes that, once played, reveal an unexpected beauty. The spontaneous nature of his practice emphasises speed, movement and immediacy; like jazz, it is never static. The dance of line and colour is instinctive and energetic. For Noir, art is a performance. 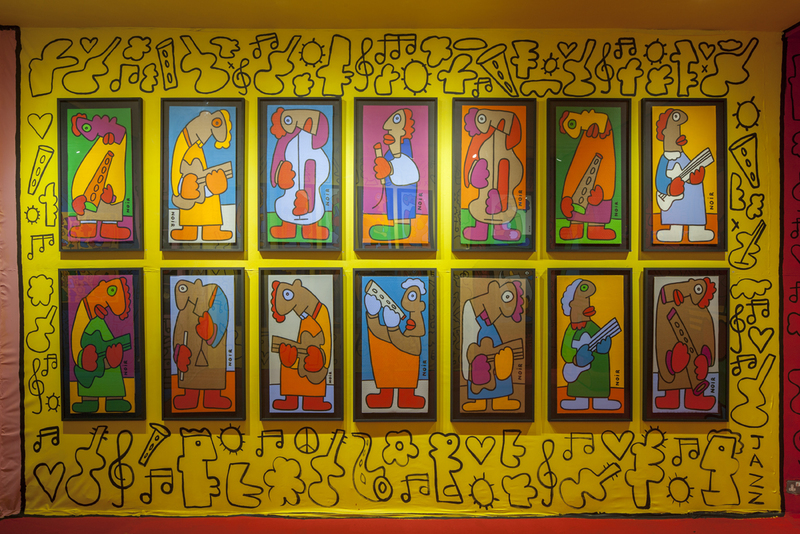 Noir’s depiction of instruments draws many allusions to Picasso, and in fact Noir has often called himself ‘The Picasso of the street’. In Jazz, Noir shows an exploration and refinement of his use of line as a primary tool. 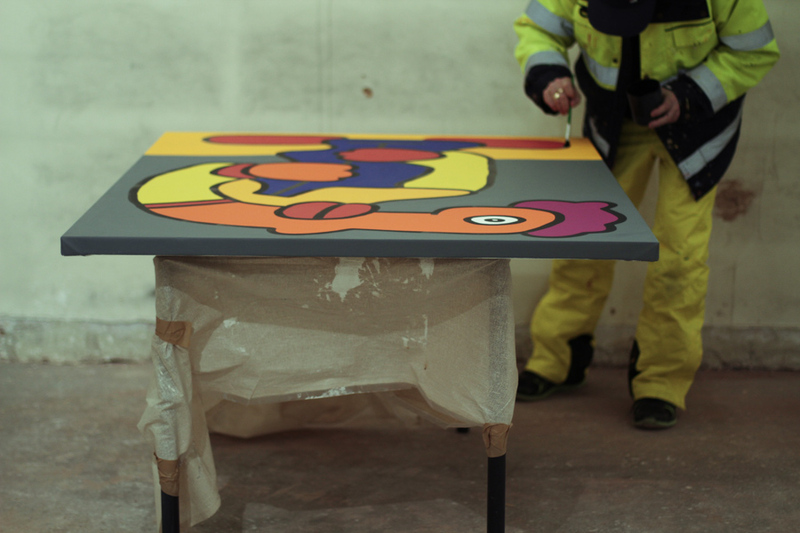 This emphasis brings his work further in line with the Primitivist tradition, elevating simplicity in form and execution to become a primary concern.